Inertia is defined as the tendency of an object to resist any change in its state of motion. In other words an object at rest will remain at rest and an object in motion will remain in motion. Inertia is part of the force that creates friction between surfaces and keeps a baseball flying to the outfield. Students can perform these interactive inertia activities to better understand how this powerful force works. Friction is the force that resists movement between two objects. 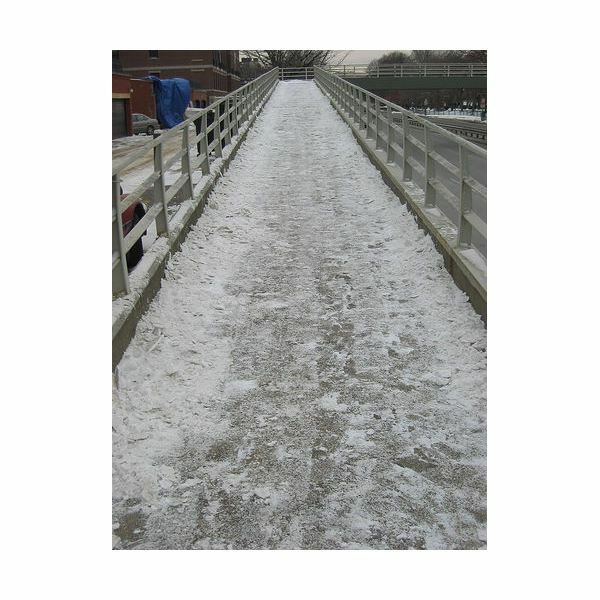 The sudden loss of friction when walking will cause a person to slip and fall, as often happens on an icy surface. Students can test the limits of this change in friction with wood blocks and a ramp. Students should place the wood block on one end of a sheet of plywood. Raise the end with the plywood until the block moves. Measure the height of the ramp. Soak the plywood in water and freeze it overnight. Repeat the experiment. The block ramp height should be lower when it is icy. Students can modify this experiment by placing sand on the ramp to see how that affects the friction. Additionally, if wheels are added to the block the height of the ramp will be lower. Friction also applies to other types of ramps, such as slides. Students can experiment with friction by competing to create the fastest time for a person going down a slide. Students will choose different materials to sit on when sliding to determine what material increases speed. Items that could be used include carpet, plastic bags, paper bag, a towel or a pillowcase. Different ways friction affects liquids and solids can be demonstrated with two eggs. One egg should be hard boiled and the other remains raw. Students can identify the hard boiled egg by spinning them both. The egg that spins smoothly is the hard boiled one, since the inside is solid. The raw egg will not spin smoothly as the yolk and egg white will move at different rates and cause the egg to wobble. Inertia also applies to objects in motion. These objects will continue to move in the same direction unless they are acted upon by another force, such as gravity. This type of inertia is best illustrated when a ball is hit over a long distance. It will continue until gravity pulls it down. Students can learn about trajectory by hitting a variety of balls with a mallet to see what weight of ball travels the farthest. Students should use a golf club or crochet mallet to hit a ping pong ball, golf ball, baseball, softball, and soccer ball to determine which ball flies the farthest when hit with the same amount of force. Motion also applies to objects that are rolling. Students who enjoy rollercoasters may want to experiment with the best materials to create the fastest marble rollercoaster. Use a glass marble and experiment with plastic, metal, rubber and wood surfaces to determine which allows the marble to travel the fastest. Students can add curves and loops to understand how changes in direction affect motion and speed. Inertia causes objects in motion to stay in motion in the direction they started moving. This aspect of inertia can be demonstrated with a string and a washer and a large piece of paper. Students should tie the washer securely to the string. Hold the string at the end opposite the washer and drop it onto the paper. Mark the spot. Next gently swing the washer back and forth on the end of the string. Randomly release the string and mark where the washer lands on the paper. Compare these locations. Interactive inertia activities help students understand how friction, motion and gravity interact to control the movement of objects, including themselves. Students who are interested in learning more may want to read about Newton's three laws of motion.